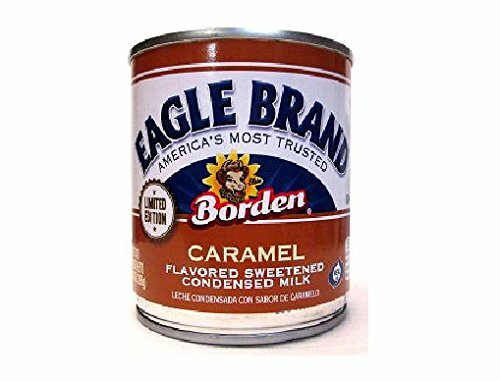 Eagle Brand Caramel Flavored Sweetened Condensed Milk Now instead of heating up regular Eagle Brand sweetened condensed milk to produce a rich caramelized sauce, you can easily add caramel flavor to your favorite recipes with Eagle Brand Caramel Flavored Sweetened Condensed Milk. If you have any questions about this product by Borden, contact us by completing and submitting the form below. If you are looking for a specif part number, please include it with your message.